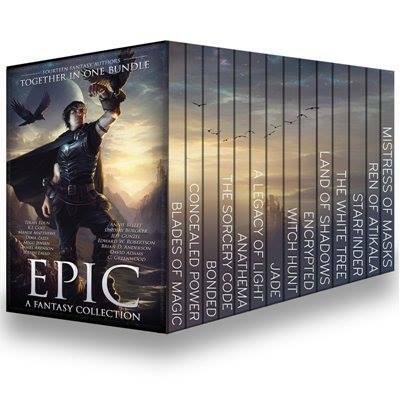 14 fantasy tales from NY Times, USA Today and Amazon bestsellers for only 99 cents. Finally! EPIC is released for pre-order and available on all eBook vendors. This is possibly the biggest bundle of NY Times, USA Today, and Amazon bestsellers ever assembled. 14 tales of fantasy fiction with over a million words. But it’s only available for a limited time, so be sure and get your copy while you can. Thank you all so much for your support. And here’s to hoping your holidays find you blessed, loved, and abundant. Have a magical holiday season.